Case studies for the Collaboration Portal. Midlands Health Network (MHN) developed and led a $1.7 million project to improve child health outcomes for New Zealand children – supported by the Ministry of Health, Waikato DHB, Lakes DHB, Tairawhiti DHB and Taranaki DHB. The project team included two different software vendors based in Auckland and Dunedin, organisations throughout the Waikato, Wellington and Auckland, who all needed to coordinate their efforts. Technical requirements needed to be shared between two software development shops, reviewed and approved by Midlands Health Network, with the final software outcome controlled by MHN. Data specifications and data files to populate the new software needed to be managed across Auckland DHB, Plunket and the Ministry of Health. In addition to this, all of the project elements of risk, issues, decisions, registers of interest and meetings needed to be managed and tracked, quickly and easily shared with project members, to satisfy regular project board and governance group meetings. 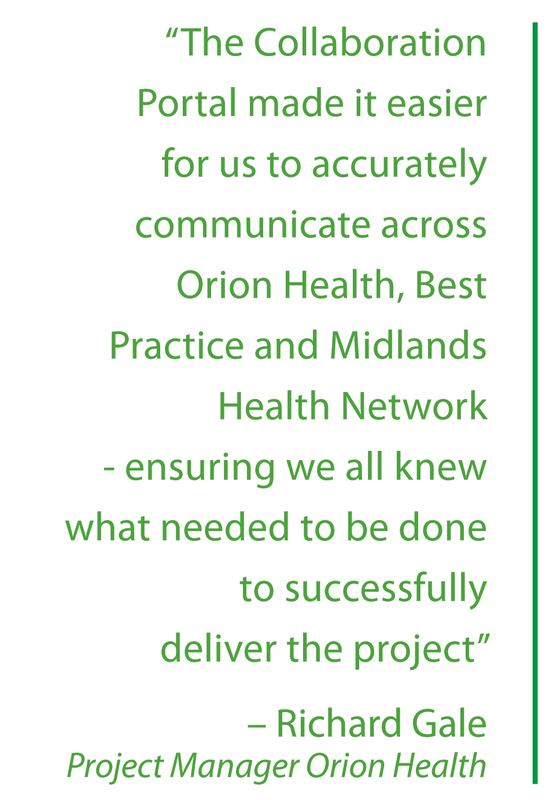 ​Midlands Health Network already had their own branded collaboration portal from Resolution8 in place, setting up this new project was as simple as creating a suitable project space. From there, it was a matter of establishing who needed access to that project and then managing tasks through the portal. Software requirements were recorded on the portal by MHN and the two software vendors, and then the software delivery tracked in the portal against the requirements. All risks where created and tracked in the system with automatic notification to project board and governance group members when risk parameters changed. The project team were able to see exactly what was required of them and could work with confidence that no task was being left behind – regardless of where the rest of team were situated. At any point, the project leadership could pull the latest risk profile for the project or review decisions made and update registers of interest. Documents were shared securely between Waikato DHB, MHN, Orion, BPAC Inc., the Ministry of Health and Plunket, allowing clear communication on key deliverables. The best practice team needed a way for their customers to raise requests for new forms and enhancements to their software. Their current issue tracking software would have cost too much to expose to all their users and clients and they needed a tool that could match their branding and be easy enough for anyone to use. Resolution8 worked with BestPractice software to customise the look of the application and host it for them. Their portal is now in use by clients from all over the world, keeping their clients up-to-date. 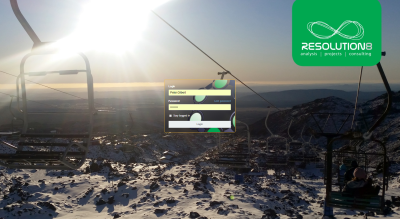 The Resolution8 team use the portal for all our project work and collaboration. We provide access to our clients so they can see where their projects are up to, access documents and participate in discussions. It is a key part of our offering.